The Bereavement members participate in supporting families who are experiencing the loss of a family member. Families receive condolences of the parish through home visitation, assistance with planning funeral liturgies held at St. Joseph, comfort through the Shawl Ministry, and monthly bereavement literature. When requested, families receive referrals to support groups and/or professional counseling services in the community. The Bereavement ministers meet monthly for mutual support, prayer, continuing education, and fellowship. "As a recipient of the loving concern of this ministry, I encourage all parish members to take advantage of this ministry when the death of a loved one enters into your life. 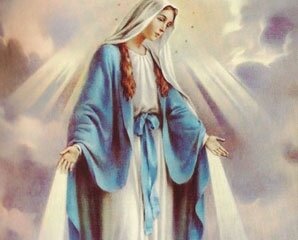 Words of concern and prayerful support are so appreciated at this time. The presentation of the Prayer Shawl adds to the sense that others truly care! Thank you to all of them." Some of the Hospitality Group! Building community comes through our worship together each weekend at Mass. It is nourished and enriched when we come together as "parish family".. This ministry makes the gathering of this family happen whether it is a parish supper to celebrate something special, fellowship after weekend Mass, and/or supporting other ministries with the added touch of smiles and refreshments. Members of this ministry gather monthly or when an event is being planned. It is a wonderful ministry to meet more of the parish community-building on established relationships and creating new relationships. Prayer Shawl Ministry. We find that we are running low at this time. If you would like to knit at home and donate a shawl, please click on the picture for the pattern. The Prayer Shawl Ministry meets every other week on Monday mornings at 9am in St. Damien Hall & on Tuesday evenings in the conference room at 6:30pm. This ministry gathers twice a month to create shawls through a very prayerful and purposeful process. Nancy Machado developed this ministry after discovering that many churches have added this ministry to cooperate with other ministries in the parish. These members gather to create shawls for the newly baptized (adults and children), yokes for confirmation candidates, & prayer shawls for those grieving the death of a loved one. If you are interested in joining this ministry you can contact Nancy Machado at 508-996-3942. 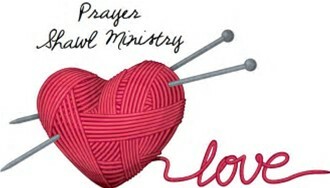 If you do not knit or crochet, this ministry will help you learn.